In this paper we propose a methodology for the automatic detection of Parkinson’s Disease (PD) by using several glottal flow measures including different time-frequency (TF) parameters and nonlinear behavior of the vocal folds. Additionally, the nonlinear behavior of the vocal tract is characterized using the residual wave. The proposed approach allows modeling phonation (glottal flow) and articulation (residual wave) properties of speech separately, which opens the possibility to address symptoms related to dysphonia and dysarthria in PD, independently. 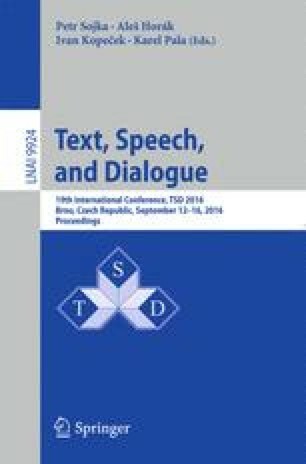 Speech recordings of the five Spanish vowels uttered by a total of 100 speakers (50 with PD and 50 Healthy Controls) are considered. The results indicate that the proposed approach allows the automatic discrimination of PD patients and healthy controls with accuracies of up to \(78\,\%\) when using the TF-based measures. This work was financed by COLCIENCIAS, project N o 111556933858.